Your phone rings and instinctively you look at the screen or display to see who’s calling you. But, can you be sure that what you see is really what you get? With caller ID spoofing, the number shown on your phone may not in fact be the number from which someone is calling you. What Exactly Is Caller ID Spoofing? Simply put, caller ID spoofing is a method by which people can choose the phone number that that is displayed on your phone as the Caller ID number - and this number does not have to match the number from which the phone call is coming from. The advent of VoIP solutions has made this possible with extreme ease. The displayed number does not even need to be geographically close to the location of the calling number. A custom name can also be chosen to be displayed, so instead of "Scam artist" it may show as "IRS". Many business applications of VoIP services make good use of caller ID spoofing. Imagine starting your own small business. Using your existing cell phone could help you save money and avoid having to carry around two phones. However, you may not want your personal number displayed to everyone. Caller ID spoofing lets you set up a business number with an associated business name to display when making outbound calls from your personal cell phone. Unfortunately, in addition to many reputable uses of caller ID spoofing that exist, there are a countless number of ways in which people have utilized it for deceptive purposes. Phone scams are alive and well today and this technology is an integral part of making that possible. How can you protect yourself and guard against being the victim of a caller ID spoofing scam? Let these 10 tips be your guide. If you don’t recognize a number, let the call go to voicemail. In most cases, scammers won’t leave messages or, if they do, you will have time to suss them out before falling prey to their deceipt. Services like Trapcall.com let you accurately display the incoming caller ID on your mobile phone for any restricted or blocked number. With this in place, you can help yourself to identify a scam before you have the opportunity to get taken by it. When you have identified a particular number as a telemarketer or potential scammer, use your phone service's ability to block the number. Just login to your portal and enter the number that you wish to block. This will instantly stop any further calls from the number from getting through to you. Call block is a great feature that is included for free with almost every phone service. All phone services are not created equal. 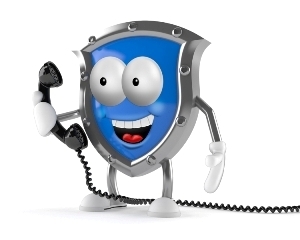 Some do a better job of proactively protecting you from robo calls. An example is the free Nomorobo service. It’s whole focus is blocking unwanted and deceptive calls. Several apps have been developed that allow you to scan for details on a particular phone number. You can find out the true identity of a caller within moments. Truecaller, PrivacyStar and the Whitepages Caller ID app are just some of the programs available with this capability. If you haven’t installed a spam-identifying app, you can quickly perform a Google search on a specific phone number or even name if one appears in the caller ID. If you are the target of a fraudulent call, you're likely not alone. A search can return forum pages or other complaint notations confirming your suspicions. If you do choose to answer a call and suspect a hoax in progress, simply end the call - immediately. If you are not completely sure if a call is valid or not, ask the caller for their name and a valid call-back number in case you get disconnected. A true scam artist will most definitely not want to give you this information. Again, when you are still in the midst of trying to determine whether or not a call is a scam or legitimate, be careful about what information you share with the caller. Under no circumstances should you give out any financial information over the phone. A good rule of thumb is to only trust such information via phone when you have initiated the call. There have been many recent tax phone scams where people call you masquerading as the IRS and demand money to be sent or you will receive a hefty fine. When you are talking to a caller, how can you effectively decide if they are trustworthy or not? A good clue that a call is a scam is when the caller tries to push you to do something, offer information or make a decision right away. Another tip can be when the caller makes statements intended to scare you in some way. Creating a sense of urgency or fear are two tactics commonly used by scammers. Many of us may think that we are immune to phone scams but the fact is that anyone can be fooled by these. The people that run such programs have learned unique ways to be effective at taking advantage of others. Make it your job to stay one step ahead of them. Another very important tip - perhaps the most important tip - is to report any and all suspicious phone activity to the Federal Communications Commission (FCC). Their website gives details about how and what you can report with an easy link to file a complaint online. Doing this not only helps you but can help others as well. According to data from the Consumer Sentinel Network, scammers pose a big problem to U.S. consumers. In 2014, the CSN received over 2.5 million reports of suspected fraudulent activities. The categories with the greatest number of complaints were related to identity theft, debt collection and imposter scams. Others involved telemarketing and mobile services, banking and lending, sweepstakes, at-home shopping and more. Don’t let your guard down. These hackers are out there but fortunately for you, there are ways to stay safe and avoid becoming a victim. Put them into action now before you encounter a serious problem. I received three(3) phone calls yesterday on my land line that showed my land line number as the caller? I answered the first call being confused by what I saw, but quickly hung up when they started talking about a microsoft license. How can they call me on the same number that I received the call on? -> Response: Sorry to hear that and yes that is indeed confusing. Unfortunately it is possible for them to do that. If they have their own PBX equipment/Autodialer they can set the outbound caller ID to any number they wish. My best guess is they do that for every person they call, and change the outbound caller ID to be the same as the number they are calling. I have received 381 phone calls since Jan 2018. The phone calls are from the same place regarding reducing student debt loans. My cell is registered to the Do not call registry. They always spoof their numbers. Spammers or telemarketers have been using my unpublished land line phone number to show on the caller IDs of the cell phone users they are calling all over Idaho. I'm getting between 50-70 return calls a day from all these possible victims of scams and if they just hit call return on their cell phones, it rings to me on my land line too. This has been ongoing for 12 days so far, and my phone company says there is nothing they can do about it - that it usually only lasts about a week. Well the scammers started using my land line name and number on their Caller ID Spoofing on 10/27/17 and it's ongoing daily, so I'm way past a week. I have advised the FCC of this also. I don't think it's fair that I should have to change my phone number that I've had for almost 20 years and be inconvenienced even more by notifying everyone of a new phone number, and I don't want to change my number. I want CenturyLink and the FCC to protect me and my "unpublished" phone number. I'm tired of getting 50+ return calls daily. There's got to be a way of preventing this so people like me don't become victims of this kind of scam and the use of their info. I can't file a complaint with the FCC because I don't know who is doing it ("unknown scammers or telemarketers"?) and I can't block 50-70 different calls a day from victims of this scam who are trying to call back and find out what they were called for (50-70 times 12 days to block all these different numbers and it would accomplish nothing since the actual scammer won't be on the list - can I block my own number?). My voice mail advises people that I did not call them and not to leave a message and that it was scammers calling showing my phone number and name on their caller ID's. Some people still leave very nasty messages on my voice mail. Any suggestions besides changing my phone number? -> Response: Sorry to hear about this, truly terrible situation. Good move on adding a voicemail greeting. There is very little more you can do I am sorry to say. The only way this can be stopped is at the carrier level (spoofer's carrier not yours) and them blocking this behavior (i.e. outgoing caller ID not matching registered owner of the number). Do you have a Do Not Disturb feature on your phone service until this blows over? I have been receiving spoofed calls since the end of June 2017. I have been keeping a list, since it is a different number every time, and I am up to 39 calls. I can go a few days then get hit with 3 or 4 in a day. They are made to appear local to me, I assume in an attempt to fool me into answering it. One I actually did answer only to hear a robot trying to sell me healthcare. I talked to my phone provider and their only solution was to change my number. I have also made a complaint to the FCC since my number is on the do not call list, but I have not heard anything from them. I just want these calls to stop! -> Response: Sorry to hear about your troubles, what a hassle! You should not need to change your number because of this, that's very unfortunate. Some providers use a service called Nomorobo which can help. Worth asking your provider about that. You can also block calls but if they are always appearing to be local to you and the number changes frequently that could become problematic. Some people have success by using an auto attendant. All it needs to say is press 1 to talk to [your name] and if 1 is not pressed go to voicemail. It is a good way of tricking the telemarketers automated calls but alas you typically do not get this feature with residential phone service. What if your number is the one being used to make the calls? -> Response: If you find out that your number is being spoofed you can inform your telecom provider and/or lodge a complaint with the FCC. The problem is that typically you will not know that someone is spoofing your caller ID. This has to be stopped at the source (the carrier level) through real-time checks during call setup. The problem with your tips is a scammer could push a legitimate number as caller id, one of the businesses they are scamming. So you see the number from XYZ company. You own services from XYZ. you google the number it is legit. The caller says they are XYZ but they are not. There is no way for you to know because your phone only shows the caller id not the real number underneath. So how do you fight back? Call your phone company for every incident, force them to validate the caller id number matches the actual source number. If we call for every incident then they will actually do something. What can they do? Well if someone is going to spoof an id legitimately they should have to register that and own the number. If they dont own the number then they should not be allowed to spoof it. By enforcing registration and enforcing that telecom companies detect calls being made where these are invalid it will get resolved. Until then fight by costing the phone companies by tying up their phone queues. Don't call tech support, call head office and as to talk to office of the president. Their time is worth more. -> Response: Very valid points you made. If the wholesale carriers start verifying that the caller ID going out is the same as the DID you own then that would indeed help though I can think of a couple of corner cases where it would hurt legitimate callers. This is something that has to be resolved at the carrier level since PBX software makes everything so configurable, so it is not difficult to spoof. If you receive a call and you have some concerns that it is spoofed you can ask them for their phone number and extension and call them back. There are no "reputable users" of caller ID spoofing.